My favourite of this bunch is probably the River Island one. It's simple and ironic. I also like the jumper from Truffle Shuffle with its light up fireplace and 3D stockings. 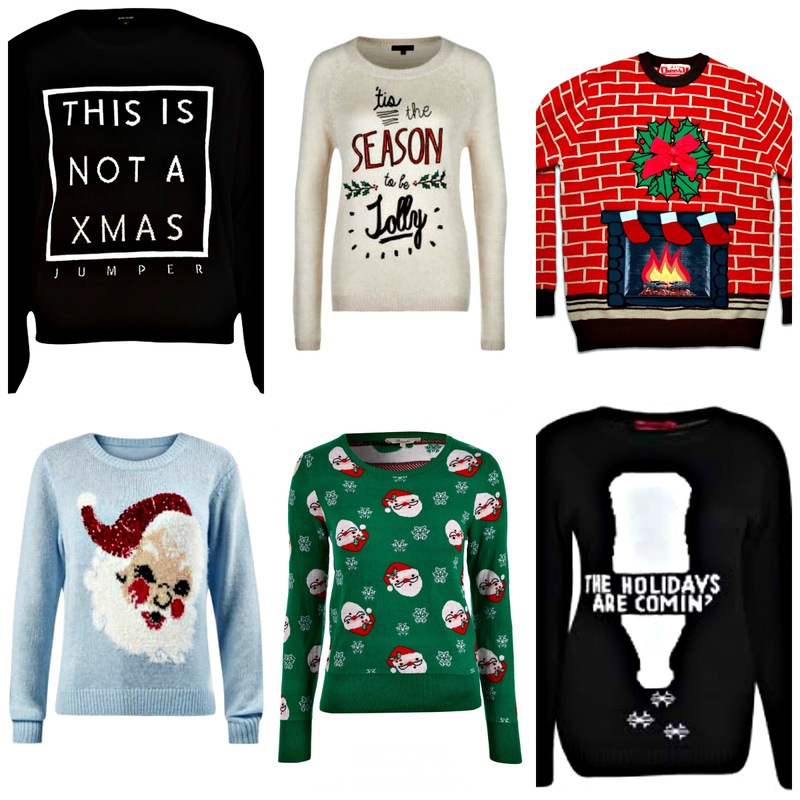 Have you bought a Christmas jumper yet? I'm being forced to wear one to work and I think the "this is not an xmas jumper" jumper perfectly sums up my attitude to wearing a jumper in a hot restaurant! Primark have some brilliant lights up ones, too.